I’ve always wanted to make a business trip where I could completely rely on my bike for transportation. But it’s always been too convenient to take a car – either my own or somebody else’s, whether that be hitching a ride with a friend, catching a cab, or taking a car service. Necessity is the mother of invention. Now that we’re a one-car lodge, taking the van on my business trips isn’t a popular option. Neither is the cost of a float plane ticket. So, I started taking the shuttle to Seattle this fall. But that left me with costly cab rides or inefficient bus routes to get around in the Emerald City. So, this week I decided to pack light and take my folding bike instead of a suitcase on my business trip. I combined the Washington State Ferry, Bellair Shuttle, Seattle Light Rail and my Brompton folding bike to make the 250-mile round trip. All it required was a little planning, some light packing (thank goodness for Seattle’s casual business attire) and not being afraid of a few rain sprinkles during my rides between meetings. There were so many positive aspects of this trip that outweighed the above, very minor inconveniences. For starters, it was probably the cheapest business trip I’ve ever taken. It also meant that I could build exercise into my schedule. No traffic to slow me down, getting from point A to point B was stress free and predictable from a timing perspective. 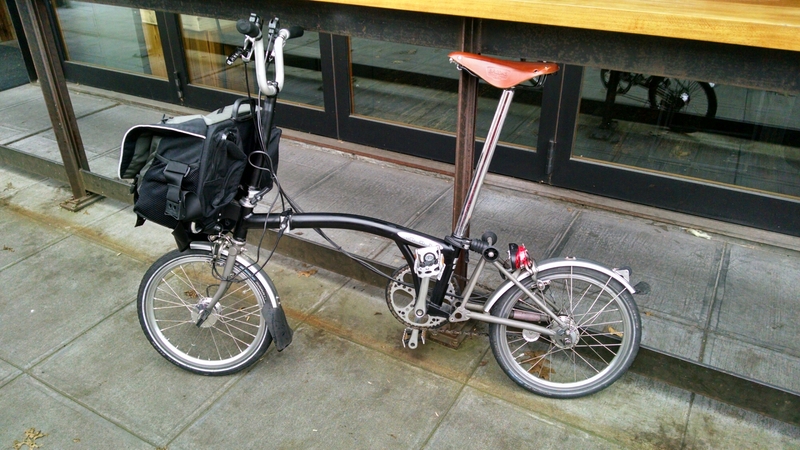 And, walking into any place carrying a folding bike is a great conversation starter. If you’re into that kind of thing. I’m reporting this because it’s an exciting Fry Lodge development. 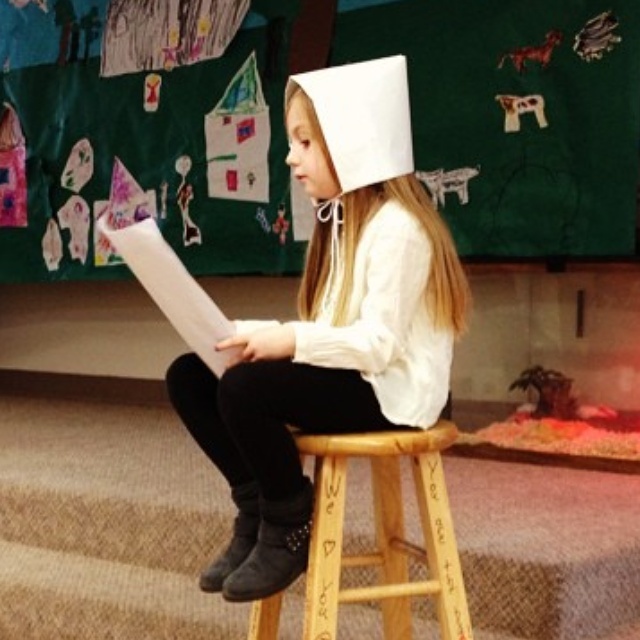 Even more exciting, though, is the fact that Ruby TOTALLY nailed her Thanksgiving play narrator role at school today. I’d post the video, but it has others’ kids in it. Ruby read with authority, clarity and poise – like it was no big deal. We couldn’t be more proud of – and thankful for – our little storyteller.